Are you looking to stock up your hair and makeup accessory kit without burning your pocket? Maybe, one-stop shop wherein you can select and pick different makeup, beauty and hair care accessories you need for your daily life? Well, options may be plenty but recently I have come across a new brand [hopefully made in India] that has multiple options to cater to your needs. The brand is TS Beauty! TS Beauty is an in-grown brand of the retail major- Future Group, also known for its popular Big Bazaar and FBB formats. The brand has quite an options from hair brushes, combs, makeup brushes, beauty tools like a tweezer, pumice stones and more. 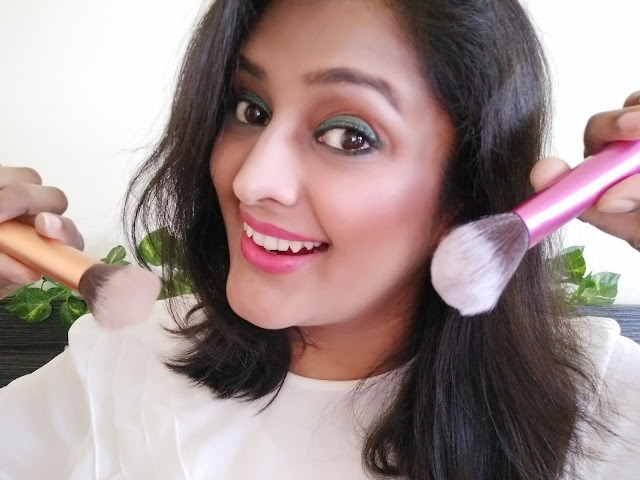 Why invest in right Beauty Tools and Accessories? Your hair and skin are precious and you need to take good care of them. You cannot risk them with wrong accessories or a damaged one. For example- Just having a comb, is not enough. Having a right comb is important. No matter how good or well-pigmented your eyeshadow is. But if you do not use a right eye makeup brush, the effect would not be as good. A girl never ha enough accessories and she keeps looking for more. Unlike skincare products and cosmetics, there is a wider window with accessories wherein you can try multiple brands without ruining your skin. Makeup or no makeup, skin care is important. A good skin care regime is incomplete without proper tools. When it comes to beauty tools, I am brand agnostic and quality conscious. There are few accessories that I cannot manage without. Such like- Paddle brushes, shower loofah, makeup brushes, plucker, and makeup sponges among others. 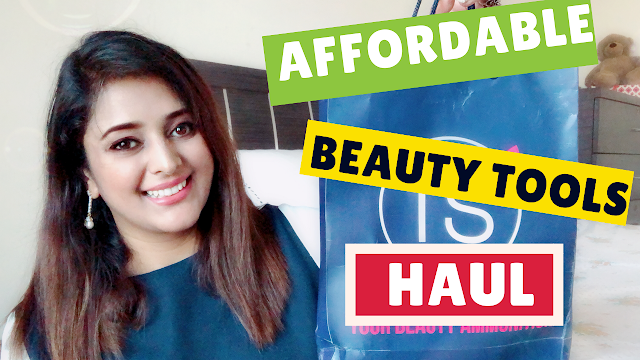 I have done a haul video with TS Beauty wherein I have featured different products that I own from this brand. Watch this video to know more! If you were unable to watch this video here, watch it on my YouTube Channel. Just click this link to visit this vlog. 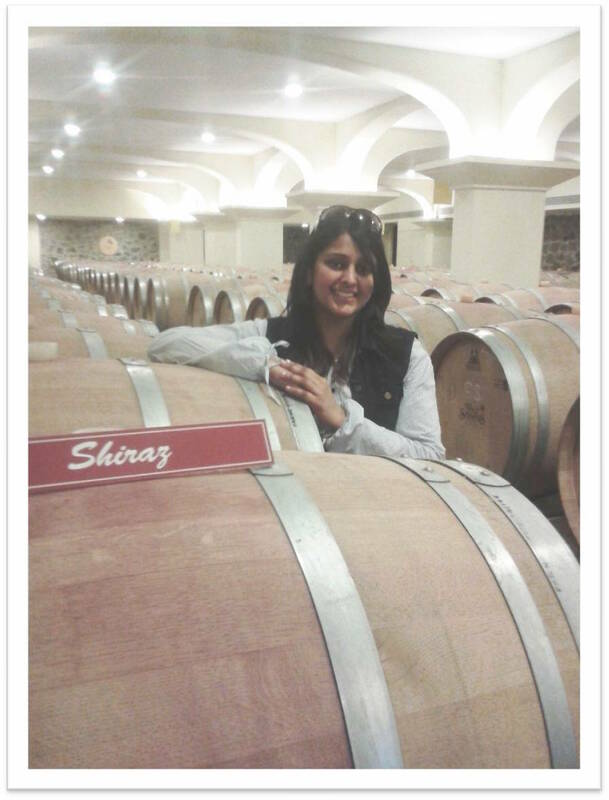 Haute Kutir Verdict: The brand seems to have a good amount of accessories for the daily use. They have accessories ranging from Rs 99 to Rs 300 and above. The pricing is decent. The form factor and quality looks good too. The packaging, especially of the makeup brushes, is quite good. My favorite products thus far are the makeup brushes. Like I said in the video, I loved the softness of the brush hair, form factor. They have a bundled kit too esp for starters. Do go ahead and try them out. Do I Recommend: yes Off Course. So, what are you shopping? Let me know. And in the case of any queries, you know where to find me.